Two days ago I started on my Northern European bonsai tour 2013, this time I have brought my apprentice Mikey along for the experience and to broad and to keep me awake during the driving. We set off at 6.00am for The Tunnel at 11.20am arriving in good time only to discover that there was a delay due to ‘train problems!” that gave us enough time to have lunch. Once through the tunnel it was two hours to my friend Stéphane who was to be my host for the next two nights. After a quick dinner the first engagement was a surprise visit to the Noelanders club. 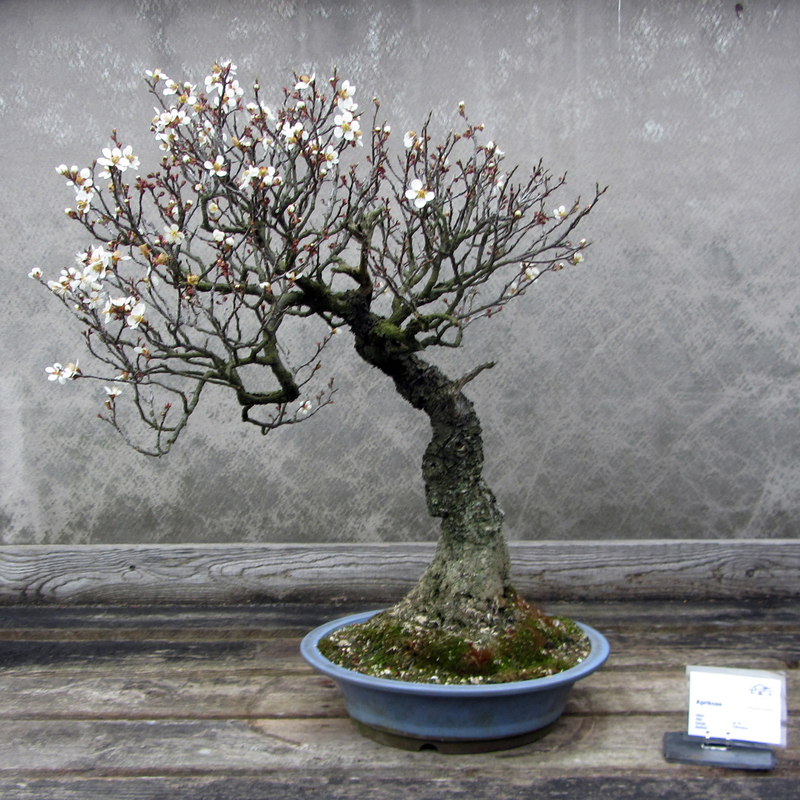 The Noelanders club is no ‘ordinary’ bonsai club, with over 80 members they are active, engaging and forward thinking. The Club meets on the first Wednesday of every month. This evening was their annual general meeting… that took place at 6.30 but we arrived at 7.30 for the general meeting. I have many friends who are the members of this club through visits and the wonderful ‘Noelanders Trophee’ that they host each January. We were in for a treat, due to the unseasonal cold weather Europe is experiencing the program for the evening changed because the material to be discussed could not be used as it was frozen I think? So Marc Noelanders stepped up to the plate and worked on a magnificent raw material Taxus Cuspidata, he styled it into a spectacular semi cascade. I chose to sit near ‘The Bad Boys’ table where the ‘Blonde Leffe’ drinkers were (Gentlemen prefer ‘Blondes’) I love Belgium, great bonsai, beer and friends. The next morning I held a workshop hosted by Stéphane, eight participants each bringing their trees for wok and discussion. 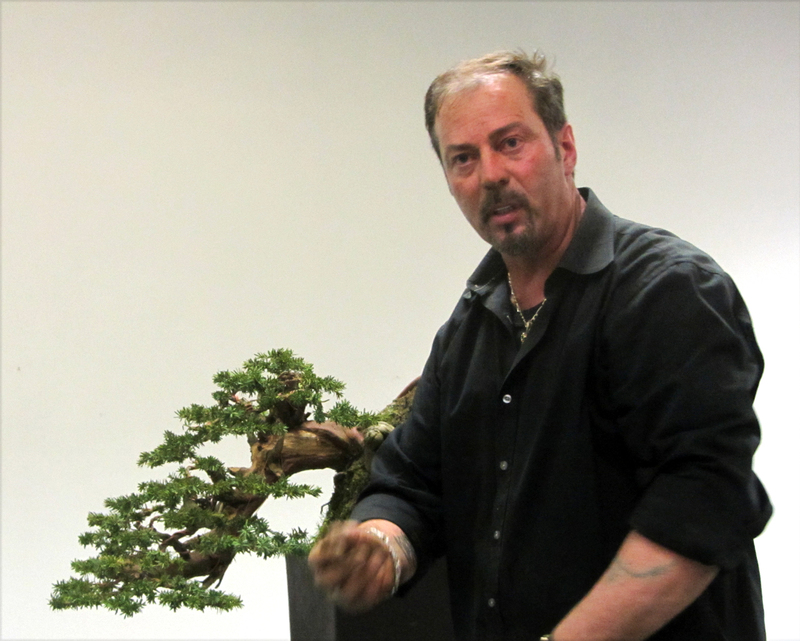 Again they were engaging and enthusiastic working on existing bonsai and raw material. Later in the evening Mikey relaxed and I styled a small larch for Stéphane… oh yes and I drank beer! Today we visited Jean Paul Polmans and his rather extensive garden and bonsai collection, it is simply not fair that one artist has SO MANY amazing bonsai AND incredible yamadori raw material in his back garden. I had to haul Mikey away. Now I am in Dusseldorf and the Bonsai Museum for a special event that takes place tomorrow, the museum is the brainchild of Werner Busch and a close group of friends, the layout is excellent with descriptions and history of the trees on information panels (all in German) there is a HUGE selection of bonsai both styled and semi-styled, pots and bonsai related items for sale too! … the report from the event will come next. Bonsai Potter Horst Heinzlreiter is one of Europe’s most exciting artists creating beautiful pots. In this showcase he lets us into his world and describes how he approaches his work. I was lucky to get up into the mountains of Italy, Austria and Slovenia on my Bonsai Tour of Europe. 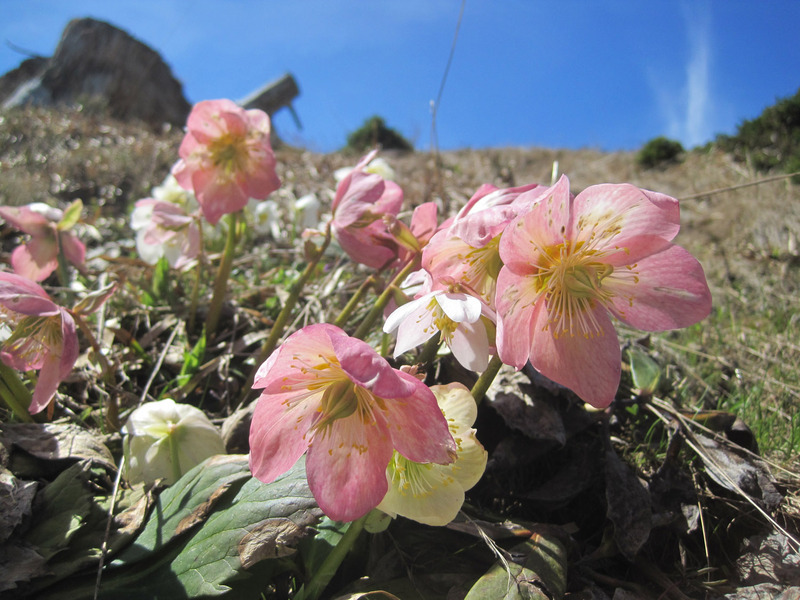 My timing was great as many wild flowers were coming into bloom. I one case a wide mountain meadow was full of white Narcissus creating a look of snow across the hillside. 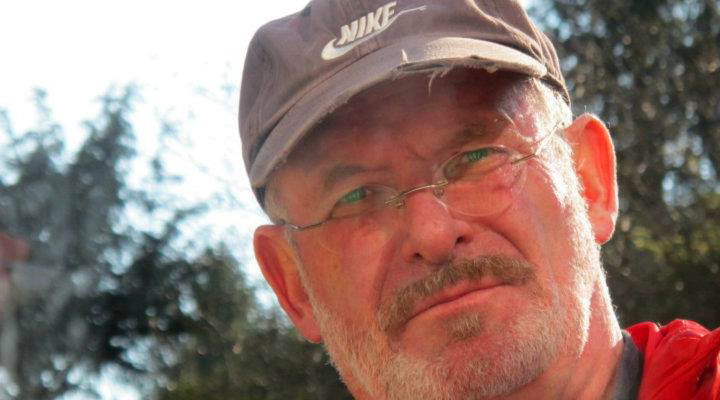 I first met Walter in 1995, he is one of my favourite ‘personalities’ in the bonsai world. 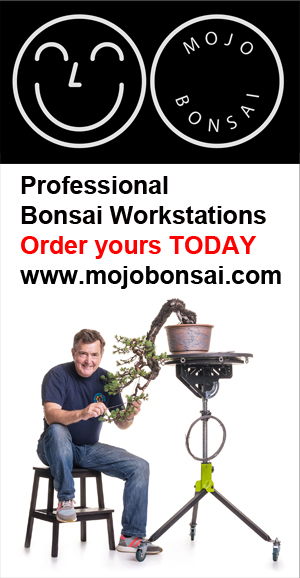 If the rest of the bonsai folk were like Walter, the world would be a better place… oh yes… his garden is amazing!